I’m not one for knitting with cotton or other plant based materials. I see their benefits, but I find it hard to come to terms with how they feel in my hands. I like wool. So I knit with wool. All year round. 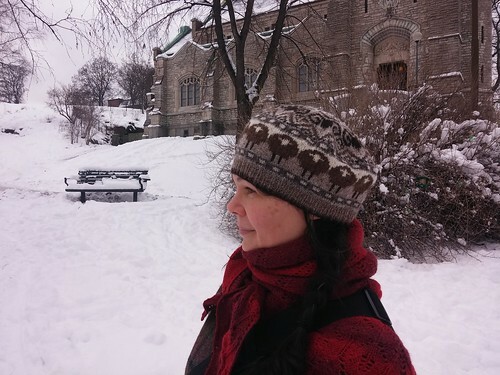 Since I am of the opinion that one can never have too many mittens, scarfs or hats, I’ve knit a knew hat. And a pair of mittens. I wanted something plain and useful (sounds boring, I know) that lets the fabric and the wool speak for itself. So even though the patterns are simple enough, I think the finished garments turned out quite pretty. Pattern: Luva from Sticka mössor, vantar, sockor! Modifications: Since the yarn I used is a bit thicker than the one recommended, I made it slightly smaller to fit my head. It is still fairly loose, but I hope that won’t be a problem in winter. 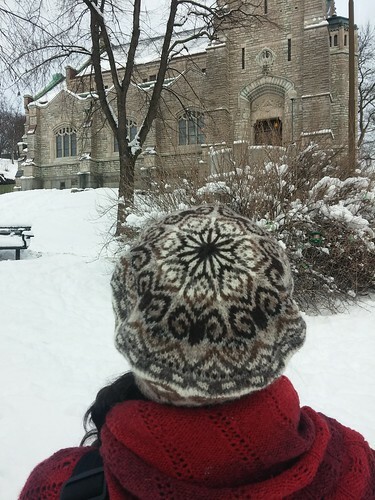 My ears hurt when exposed to wind and cold air, so I really need hats that fit snugly around the ears. After I finished this I wanted a pair of matching mittens. 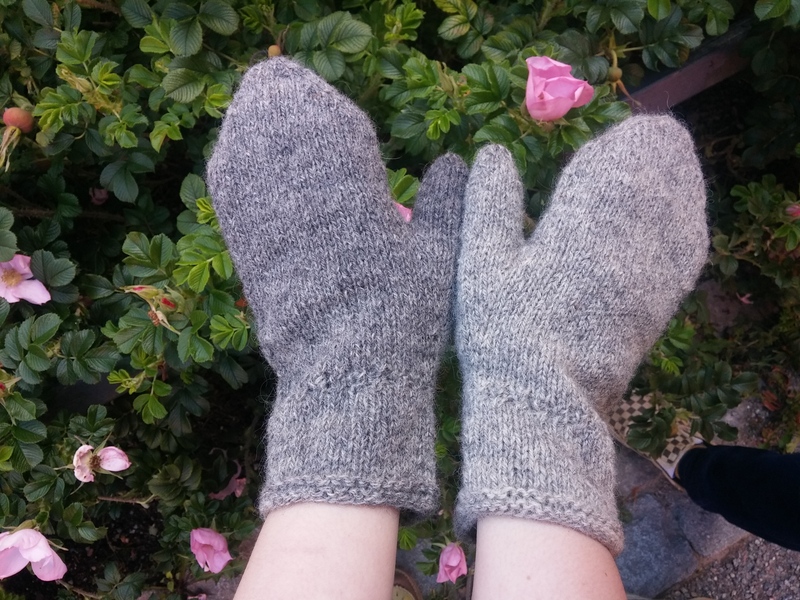 As you can see from this photo, the colour of the yarn changes slightly so the mittens are not the exact same shade of grey. Modifications: I didn’t care for the decreases in the pattern, so I just altered them to suit my taste. I also made them slightly smaller to accomodate my hands, since the pattern is written up to fit a man’s hands. Unfortunately, the pattern is not very well written, and even the easiest instructions are made confusing. I really can’t recommend it. I do like the detail around the wrists, though. There are many other well written patterns in the book, and I can whole-heartedly recommend the book as a whole. 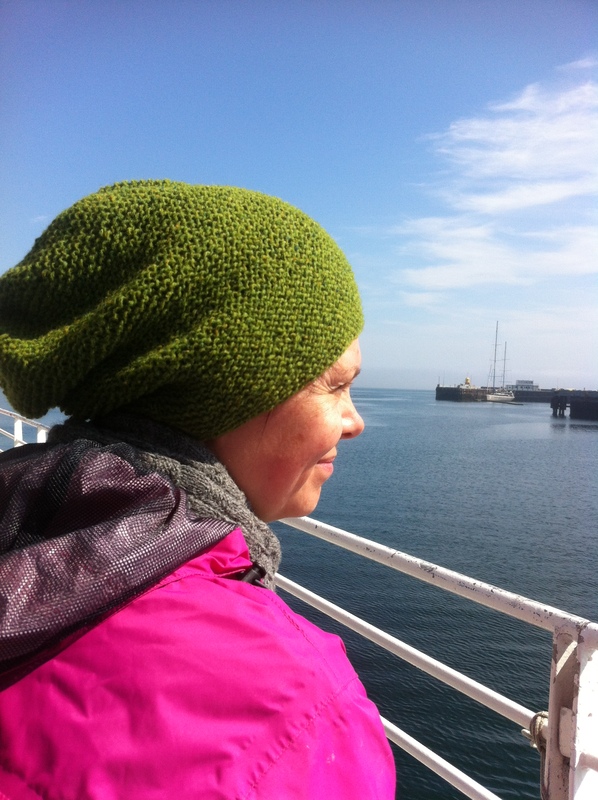 I’m very happy with this lovely fair isle tam. The design is by Kate Davies, one of my favourite knitwear designers. 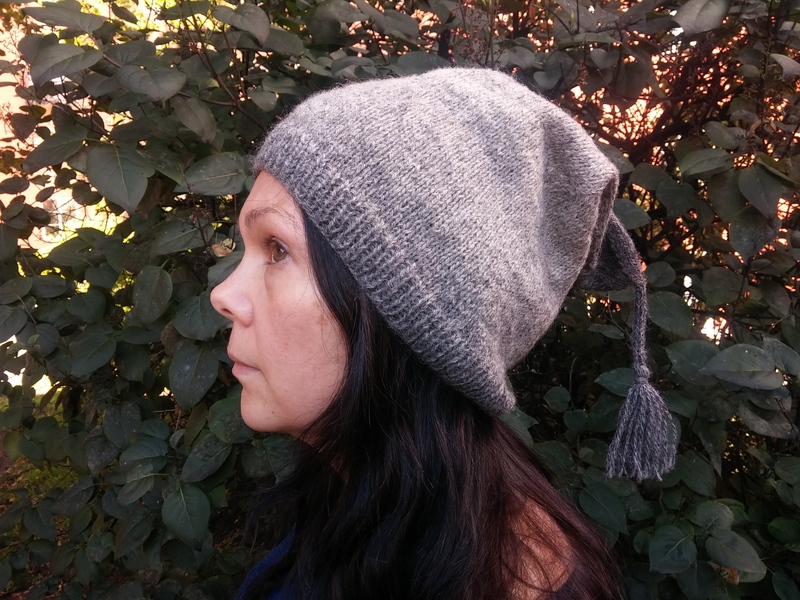 This is the first project by her design I have completed, but I love her stuff and I want to knit almost everything by her! I think it turned out quite well, and I really do enjoy fair isle knitting. The pattern was easy to follow and the instructions clear. The yarn is a little scratchier than I expected, even after washing and blocking. But it doesn’t bother me that much, I’m not very sensitive. 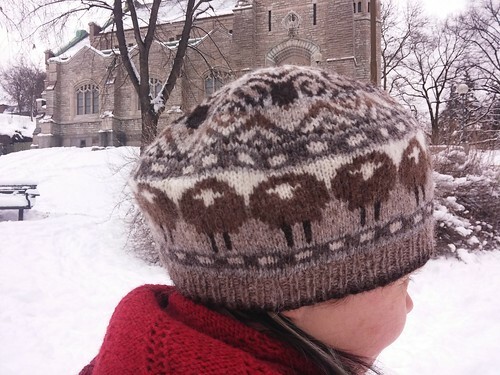 What I really love about the Shetland Supreme Jumper Weight is that none of the shades are dyed. They’re all the natural shades of the fleeces of the shetland sheep. 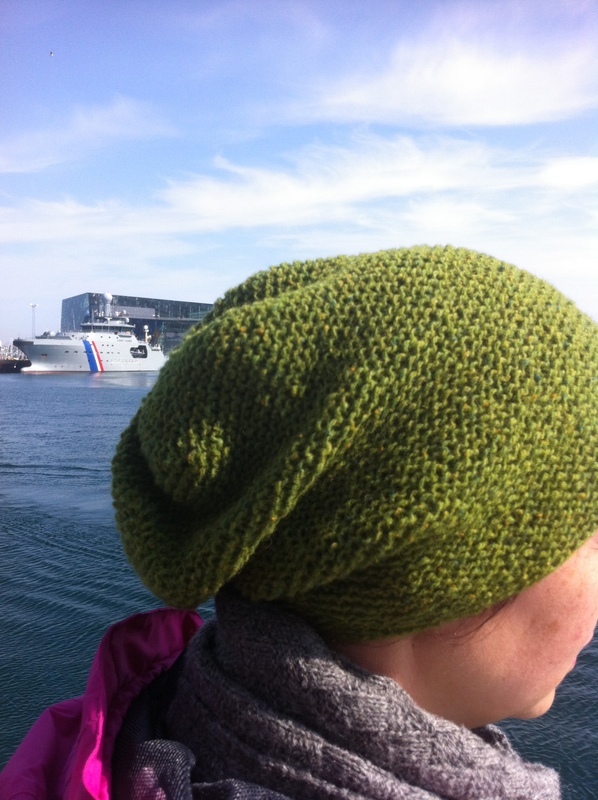 And there are nine different shades in this tam. Beautiful. The snow is all but gone now, very sad indeed. I hope winter will return before it’s time for spring. 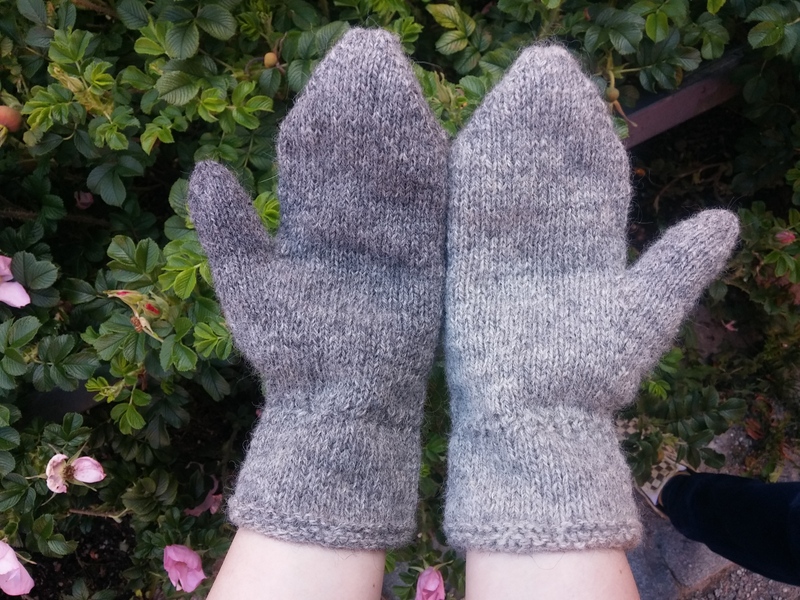 Finishing the Coraline gloves was very encouraging, so I wanted another quick fix. 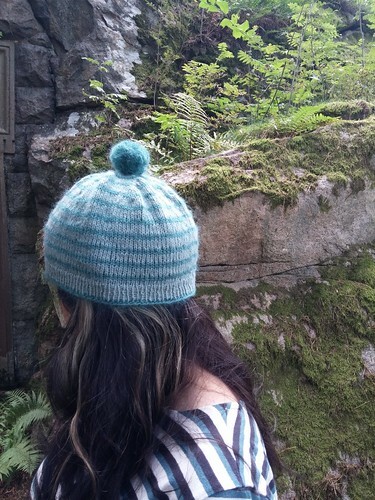 I browsed my old Rowan magazines and decided upon a simple hat with stripes and a bobble. I went through my stash and found some Rowan DK Soft I once found in the the sale bin at a LYS. Not the type of yarn I would go for these days, but nice enough. I had some left over Rowan Kidsilk Haze in a lovely petrol blue shade that went really well with the DK Soft, et voilá! A hat! I feel like knitting more hats now, we’ll see what’s up next. 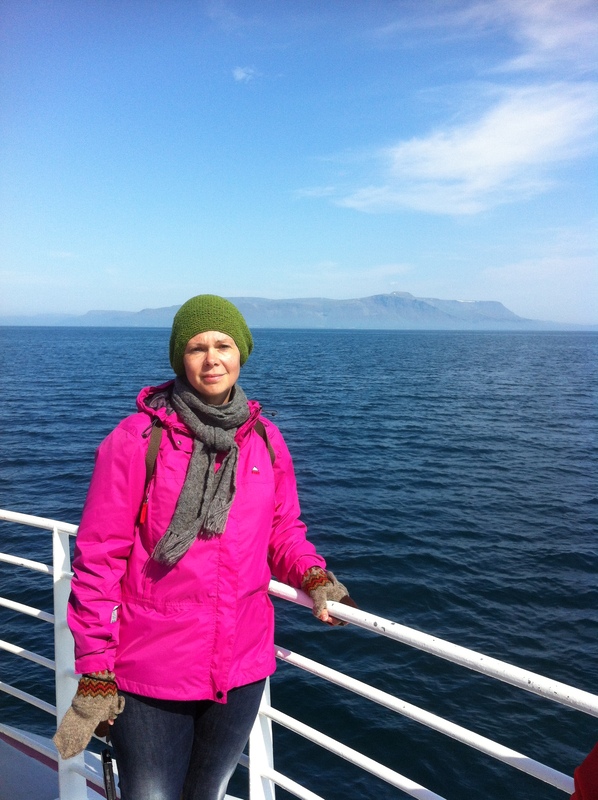 We visited Iceland this year during our summer vacation. What a magical place! I will tell you more about that later. 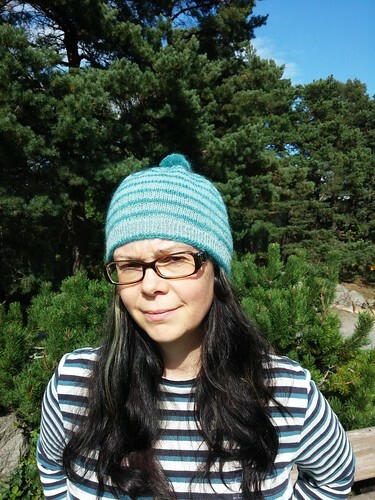 However, the average temperature in Iceland in July is usually around 13 degrees celsius with rain, so I decided to knit myself a new hat in preparation for the journey. 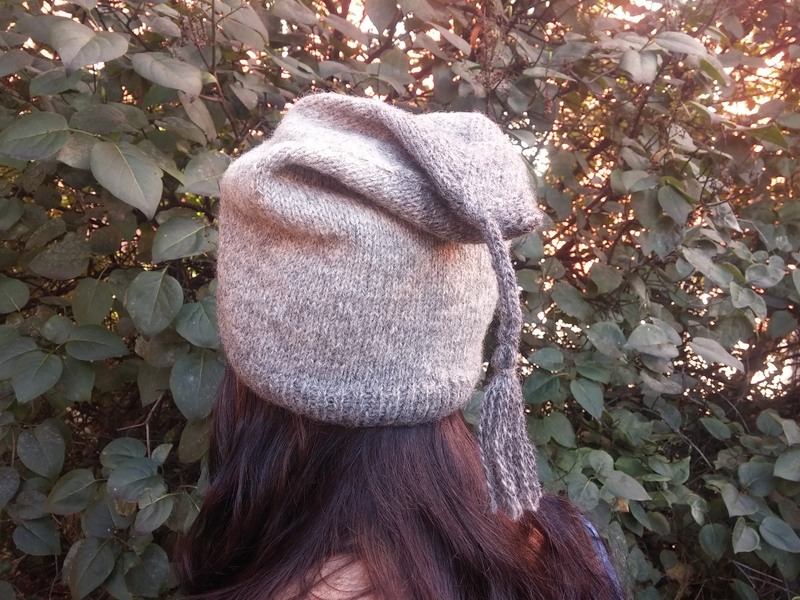 I wanted to use my Rowanspun tweed yarn and browsed ravelry quite extensivly before deciding upon a very plain and simple hat that would show off the texture of the yarn. 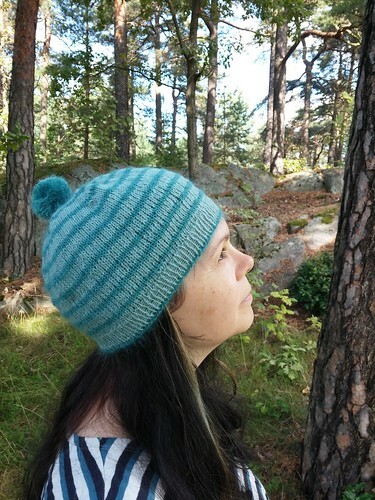 I came upon many images of the Rikke hat, but didn’t decide upon that pattern until I saw Pinneguri‘s. Hers is just like the others, but I suppose it looked so good on her, I wanted one for myself. The pattern is available free online and it’s super easy to knit. I love mine and actually wear it around the house because it’s so comfortable and cosy. I’ll tell you more about trip to Iceland later! Happy knitting! Today was another great day outdoors. 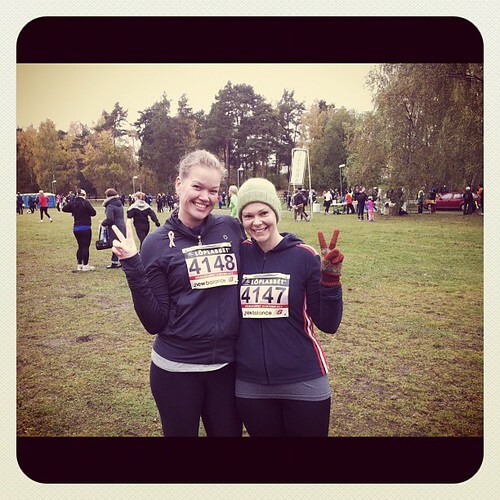 It was time for a 10K race at the outskirts of Stockholm, Hässelbyloppet. This was my second 10K race and I managed to improve my time by eight minutes from last year! I’m very pleased with my result, but will work at improving my time even further. I can’t be certain of course, but I don’t think that there were many runners there today who wore hand knit hats and hand knit gloves. In wool. But I did. Fair Isle gloves none the less!